In 2002, Cardinal Joseph Ratzinger — then the prefect of the Congregation for the Doctrine of the Faith — said that “a bishop must do as Christ did: precede his flock, being the first to do what he calls others to do and, first of all, being the one who stands against the wolves who come to steal the sheep’ [emphasis added]. For a typically mild-mannered Ratzinger, his words were untypically sharp. They were also warranted. Ratzinger was well aware, from long experience, that whenever the Church does good work, she draws the attention and resentment of those who oppose her — not just from without, but even more painfully from within. Examples abound. An editorial in one of our nation’s chronically unhappy religious publications recently lumped the Knights of Columbus, EWTN, Legatus, the Napa Institute, the Busch School of Business and Economics at Catholic University of America, the Fellowship of Catholic University Students (FOCUS), and the Chiarascuro Foundation together as a kind of big money conservative alliance to take over the Church’s task of evangelization. This is odd. It’s odd because, in practice, all of these groups are faithful to the teaching of the Church and eager for good relations with local bishops (note that Chiarascuro is a secular foundation inspired by Catholic principles). In fact, they embody one of the main messages of the Second Vatican Council: the empowerment of laypeople to take on the roles of apostles and missionaries. FOCUS alone has been and continues to be massively successful in evangelizing young adults. The real problem for critics is that none of these groups is controlled by the “right kind” of ecclesial politics or bureaucracy, and thus their effectiveness at what they do … scalds. Whatever their flaws — and yes, the Church in her humanity is loaded with flaws, from left to right on the ecclesial spectrum — these groups are honestly committed to serving the Church, doing good, and bringing people to Jesus Christ. Some of the best Catholic evangelizers in our country belong precisely to these organizations. They need our gratitude and support, and when necessary our fraternal correction, but not paranoid venom. We live in an anxious time, and while the mission of the Church finally depends on God, it also depends on us — bishops, clergy, religious and laypeople alike — and how courageously we live our faith; how deeply we believe; and how much apostolic zeal we show to an unbelieving world that urgently needs Jesus Christ. In that light, undercutting the sincere, good-will mission efforts of fellow Catholics is a peculiar way of expressing one’s love for the Gospel. Of course, the Church has seen periods of internal strife many times before. The fourth-century Council of Nicaea, so crucial to formulating the creed Christians believe, was also one of the most bitterly divided gatherings in Church history. That council, and all the long conflict over the substance of Catholic belief that followed it, could have turned out very differently. It didn’t because of one man — a young deacon and scholar at Nicaea named Athanasius of Alexandria, whose feast day we celebrate each year on May 2. Athanasius fought for the true Catholic faith at Nicaea and throughout his entire career. Arian bishops excommunicated him. Arian scholars loathed him. Emperors hated him. His enemies falsely accused him of cruelty, sorcery and even murder. He was exiled five times for a total of 17 years. He never gave up. He never compromised on principle. He never lost his zeal for preaching the true Jesus Christ. And in the end, the truth won out. Athanasius became one of the best-loved bishops and greatest Doctors of the Church — and the faith we take for granted today, we owe largely to him. That’s my idea of a Catholic believer fully alive in the Lord. And the lesson is this. If we can’t all be the servants and defenders and evangelizers the Church today urgently needs, then at least we can get out of the way of those determined to try. I would also add Father James Martin, even though he is not laity, to the list of true Catholic evangelizers under attack by certain chronically unhappy Catholic publications. In his case, the attacks are pretty shocking and go beyond criticism to the level of outright persecution. 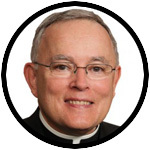 It is good to see so many Catholics- including many Catholic bishops- step up to his defense, but more of us need to speak out to stop what Archbishop Chaput correctly calls an undercutting of a sincere good-will mission effort of a fellow Catholic. Would you consider Paul Ryan a wolf? Is he one of the wolves in sheep’s clothing ? He asked for the resignation of the Catholic Chaplain of the House of Representatives presumably because he prayed for open minds toward the less fortunate when considering the tax bill. Why would a Catholic member of congress take offense to that? Wolf in sheep’s clothing seems to fit. Thank you for your commentary on this. In charity I am writing that this priest you are asking about heavily promoted a gay agenda and the politics of one party over another which you won’t read about in the mainstream media. I would suggest praying for Paul Ryan because he has been so easily portrayed by the media as an enemy of the poor. You have to dig and read more to find the reason Paul Ryan did what he did. Well said and much needed to be said. The Archdiocese is in good hands. I am inspired. Well put. No none ever said organizations within the Church are perfect – seeking to do the perfect in very imperfect times – and it’s time to give credit for trying their best; and what I have seen and read, that’s exactly what their doing ! Once again,thank you Archbishop.You are truly a good shepherd . Great article Archbishop, your article reminds me of another great Archbishop, Marcel Lefebvre. I’m not sure that’s a good analogy. Archbishop Lefebvre was excommunicated by Pope John Paul II. True faith at work. May we all be blessed to live our lives in the same way. I read the article you reference. In part it took issue with these groups funding politicians who support positions contrary to Roman Catholic teaching like the support for the death penalty, abandoning refugees, etc. Are we not supposed to follow those teachings anymore? We in Philadelphia are blessed by your presence and love of the Church. God bless you. Thank you. I love this. What I would like is a reference for Ratzinger’s call to bishops. I have searched online and I can only find the same quotation made by Archbishop Chaput at other times over the last several years. It’s a great message, but would be nice to find the original text and context. Please assist. Thank you and God bless. Thank you Archbishop for being our stalwart Shepherd and TEACHER! Your words inspire, challenge and help me to try to work more effectively and uncomplainingly. Your courageously inciteful commentary is crucial in our country today! Bravo your Excellency! May God Bless you with good health, safety, and a long life. Pax et bonum. Thank you Archbishop. You are a true servant of God. May He bless you always. National Catholic Reporter itself would be an example of opposition from outside the Church, though some of its members may be baptized Catholics, they put “Catholic” in their name, and report on issues related to Catholicism. Thank you for defending the Knights. They are great and getting greater. Confusion within the Church has emboldened progressives, who have never liked the magisterium and now see opportunities to challenge it. Thank you for standing against the wolves within our Church during these bewildering times. Thank you for great leadership. Love your columns! They give me hope in a dark world that there are good shepherds out there! Thank you!